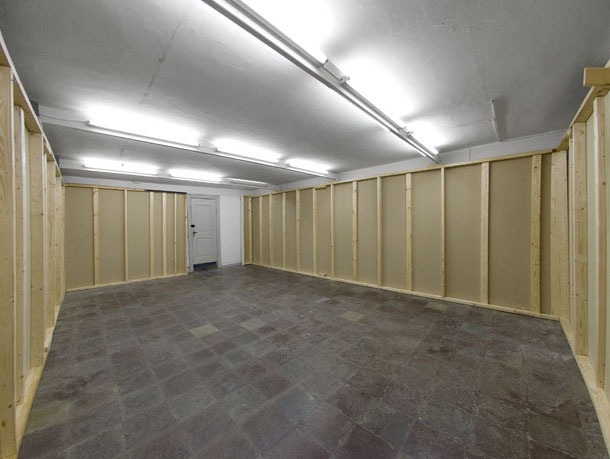 "Pladsen" is an exhibition space situated in the basement of Charlottenborg in Copenhagen. 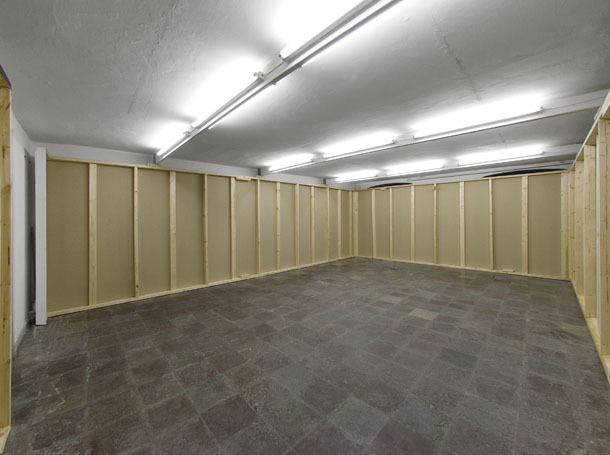 The entire building is listed and to solve the situation of exhibiting works without damaging the walls of the architecture the responsible exhibition group of "Pladsen" decided to erect a detached floor-to-ceiling wall construction, which resulted in a white uniform room. Flip deals with the situation of this temporary uniform covering of the original historical walls of the room by simply disassembling, flipping and reassembling the five sections of the wall construction. This way creating a new order of the room by exposing the backside of the wall construction.